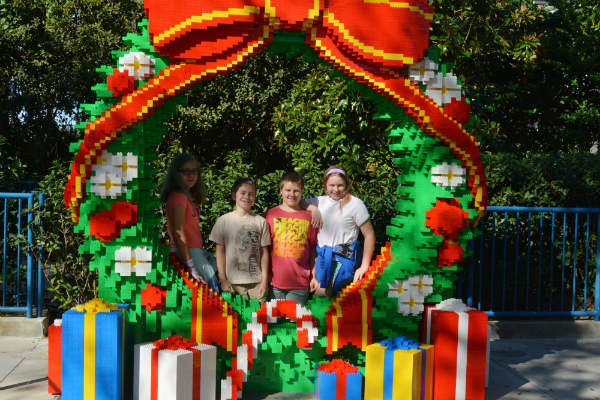 Also in Fun Town, there is a giant LEGO wreath perfect for pictures, and a Holiday “snow” globe with a photographer, and an assistant, for pictures as well. In fact, it was great the way there were so many holiday photo ops for families to participate in. 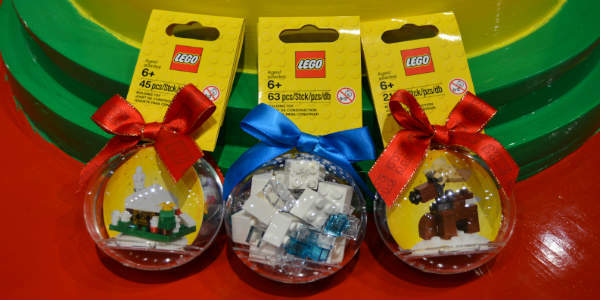 In the Factory store, there is a Build and Buy LEGO Christmas Ornament, which was fun for the kids to put together. There is also an opportunity to meet LEGO Santa, as well as a LEGO Toy Soldier. We missed both of these opportunities as there is so much to do. Building ornaments took us a while! We did participate in the Santa’s Helper Scavenger Hunt around the park. You must find the LEGO Elves and mark what they are doing. Once complete, you turn it back in for a small prize. We did find them all, but I am not posting pics for them, as that would ruin the fun. 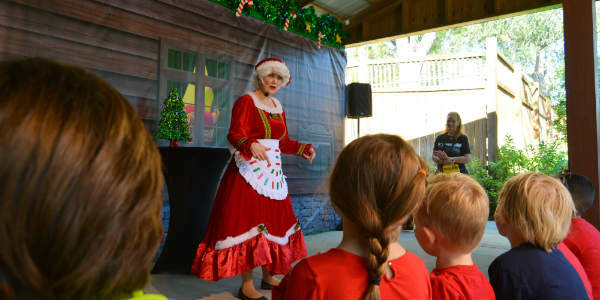 In Duplo Valley, We did visit Storytime with Mrs. Claus, and enjoyed opportunity to take a seat in Santa’s LEGO sleigh, complete with reindeer. The Holiday completion was not in progress while we were in that area. But they were getting ready. I’m sure that would have been fun to watch or participate in! 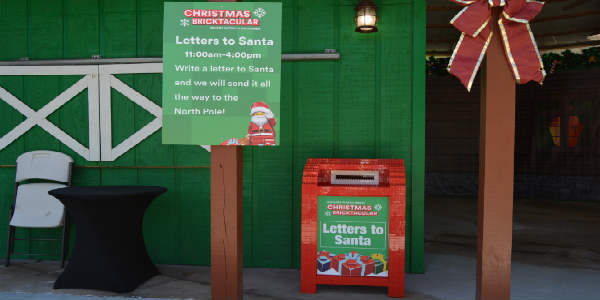 There is also a place to write Santa a letter and LEGOLAND Florida will send it all the way to the North Pole! 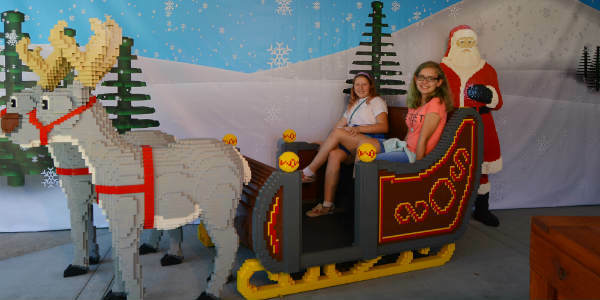 In the LEGO Miniland, guests can help assemble a mosaic build depicting holidays around the world. I wish we could see it when it’s completed! Only a couple sections were finished by the end of that day. The Pirates Cove Ski show is always fun. We did not see it, But we did hear it while we were waiting in line for a roller coaster. The 4D theatre was closed that day. There is new show for the holidays called North Pole Nonsense. It’s located in the LEGO Kingdoms area. 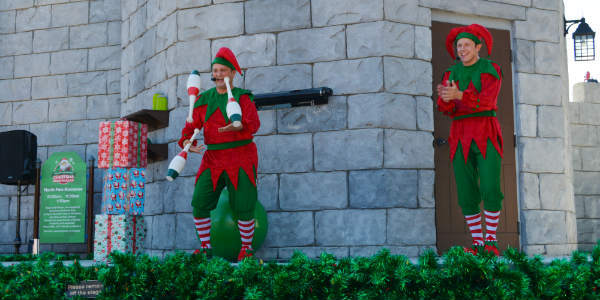 These 2 elves are so much fun as they try to figure out how they can best help Santa. It’s funny, silly, and a joy to watch. Yuletide tomfoolery and slapstick circus skills is how this show is described and it does not disappoint. We all enjoyed this show. Overall, we had a very Christmas-y fun day, and again, the staff was so helpful, it really added to all the fun. 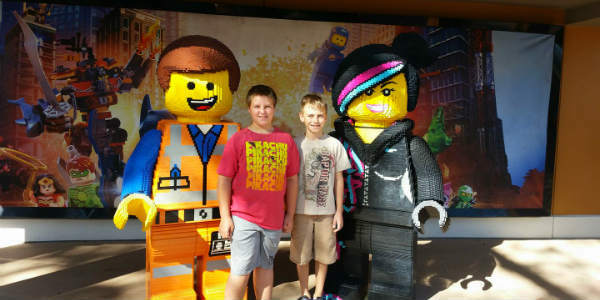 We always enjoy LEGOland even with kids that are tweens. The Dragon coaster is their favorite ride, with Project X a close second. Driving School, Boating School, and Flying School are also so fun that we had to do them while they still can, as Driving school has an age limit. 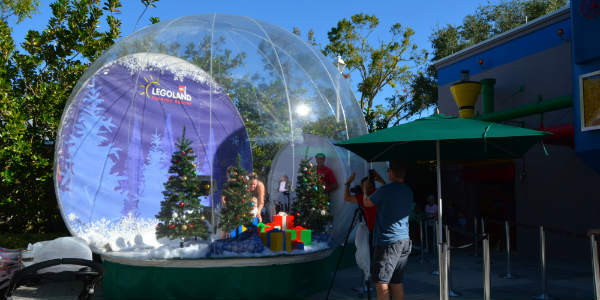 LEGOland Florida park was open until 5 pm, with the stores open until 6pm to shop. 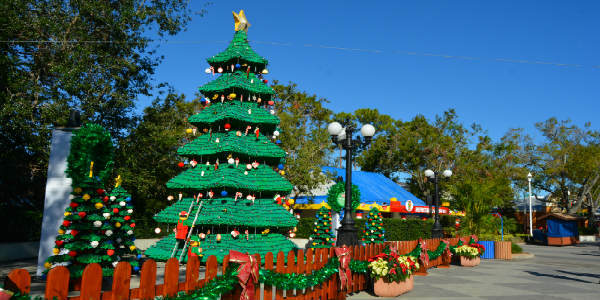 Christmas Bricktacular runs Dec 9,10, 16, 17, 23, 24, and 25. The event is included with regular park admission. 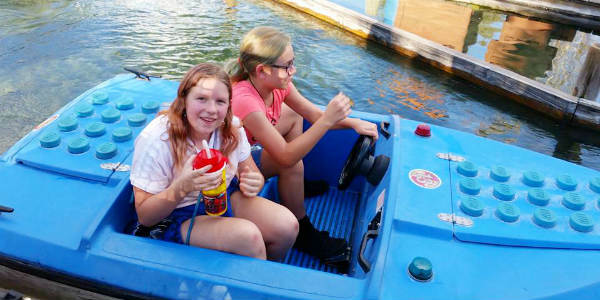 For more information, and to purchase admission, visit LEGOlandFlorida.com. Other upcoming events include The Kids New Year (Dec 30-31), LEGO Ninjago Days, LEGO Brickdash 5k, LEGO Star Wars Days. We’ll have more information on those events as they get closer.